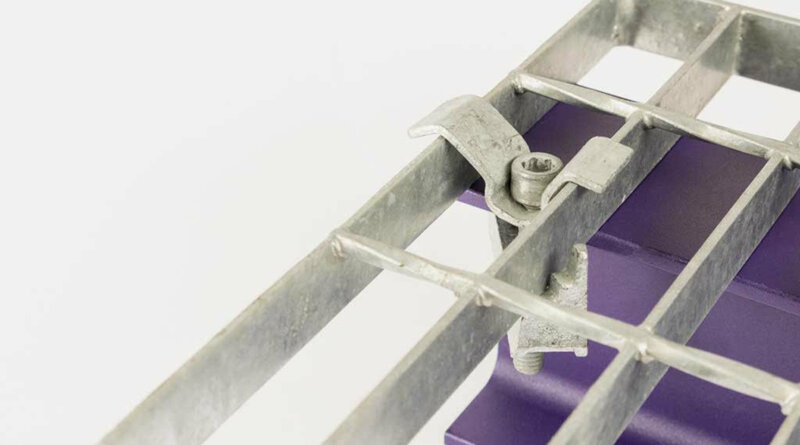 The Gratefix is a heavy-duty fixing that allows open floor grating to be fixed to the supporting steelwork from the topside only. 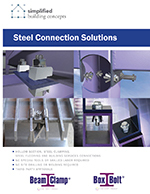 The Gratefix features a cast bottom piece that provides additional strength to clamp on to the steelwork flange. Both options finished in Mechanical Galv to ASTM B695. What is the Grating Clip? The Grating Clip is the most common style of clip used for fixing down open steel flooring in the UK. It provides a quick and cost effective method of fixing. It is hot dip galvanised and comes as standard with a top bracket to suit 30-41 mm ctrs grating bars.